Tottenham manager Andre Villas-Boas has told his players to respect the threat posed by Manchester City but admits he is buoyed by his opponents’ indifferent away form ahead of Sunday’s game at White Hart Lane. Roberto Mancini’s side have won only eight Premier League matches away from the Etihad and were also beaten on all their trips in the Champions League to offer hope to Villas-Boas. “They are an extremely good team in my opinion,” he said. “They have come back recently with good performances and they made the FA Cup final. They are a team that plays good football, they are very organised and hard to beat, their home record shows that. “But away from home it’s a little bit different. If we are organised, balanced, and if we show the desire and ambition we have a chance. Meanwhile, Spurs skipper Michael Dawson is keen to exact revenge on City after they were thrashed 5-1 by them in north London at the start of last season. Tottenham have had an opportunity to rest since being knocked out of the Europa League by Swiss side Basel on 11 April. 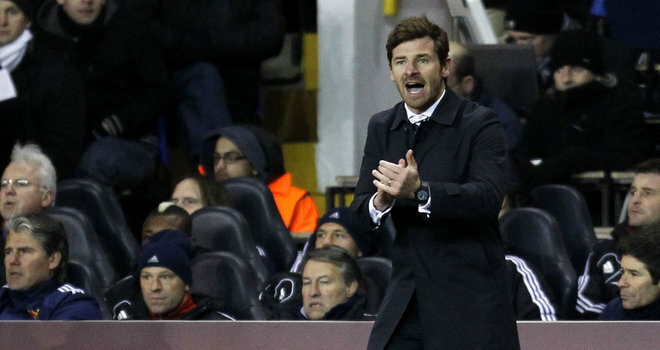 But having slipped into fifth place in the table behind local rivals Arsenal, Villas-Boas has targeted Sunday’s game as a must-win fixture for his side as they attempt to secure Champions League football next season. “It will be a tough game for them and hopefully we can put one over them after what happened last season,” said Dawson. “They’re all important games for us now. We were disappointed after the Basel result but we can’t dwell on that. Fiorentina Signs Azzurri Striker Matri. Lampard, Breaks Tambling’s Record to Emerge the New Chelsea Goal King.